Form CIT 0001 is the application for a new or replacement Citizenship Card. A Citizenship Card shows proof of Canadian Citizenship. You must already be a Canadian citizen to be eligible to file; this is NOT an application for citizenship. Form CIT 0001 may be used to get proof of citizenship for a minor child (under age 18), but it must be filed by a person over age 18. You can use Form CIT 0001 to replace your Citizenship Card if it was lost, stolen or damaged, or the information on your card is incorrect or outdated. 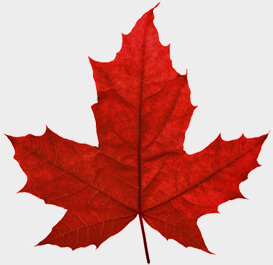 You must be a Canadian citizen to be eligible to file Form CIT 0001. This is NOT an application for Canadian citizenship. Effective in April 2009, the rules change for individuals born outside of Canada to a Canadian parent. The change made to the Citizenship Act now limits citizenship to the first generation born or adopted outside of Canada. The parent became a Canadian citizen by naturalization. The adoptive parent became a Canadian citizen by naturalization. Children who are not eligible for Canadian citizenship under the Citizenship Act may be eligible to be sponsored as a permanent resident. Children under the age of 18 may apply for citizenship as soon as they become a permanent resident. Note that if this is your first citizenship certificate, you will need to provide certified copies of your documents. If this is a replacement application, then you will simply need to provide photocopies of your documents, unless otherwise stated.